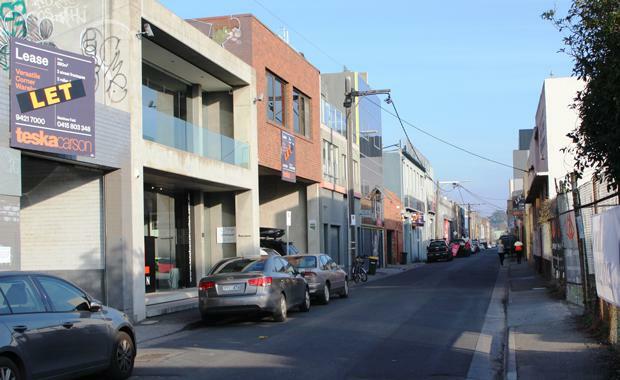 The inner-eastern Melbourne fringe suburb of Cremorne is in high demand from commercial tenants with six new leases in the last eight weeks and more in the pipeline, according to Teska Carson’s Fergus Evans. Mr Evans, who along with colleagues, Matt Feld, George Takis, Tom Maule, and Adrian Boutsakis have sold, leased and marketed more than 25 properties in the tiny suburb over the last 18 months, says times have changed. "Cremorne has for a long time lived in the shadow of its more famous and more popular neighbour Richmond, but the number of businesses who are now making Cremorne home are challenging that dominance. "We have leased six properties recently and have several more tenants looking at what’s available. All of a sudden the suburb, which has been more of a quiet achiever, has become flavour of the month,’’ Mr Evans said. New deals include those at:36 Stephenson Street, Cremorne – three year lease to Scene Change Pty Ltd;40 Stephenson Street – four year lease to Merlin Migration Pty Ltd;25 Gwynne Street – two year lease to Care Monkey Pty Ltd;29 Gwynne Street – three year lease to Suppertime Australia;14 Gwynne Street - lease (term undisclosed) to The Big Group;44 Gwynne Street - leased prior to construction (conjunctional with JLL). Mr Evans said such was the demand that many tenants were now looking to avoid the queue by securing space prior to or during construction including a new lease at 44 Gwynne Street and significant interest in space at a six level office building under construction at 13 Cremorne Street. The former industrial suburb, famous for its Rosella factory which was established on Balmain Street in 1905, is bordered by Punt Road, Church Street, Swan Street and the Yarra River, and at 0.7 square kilometres, is one of the smallest suburbs on Melbourne’s fringe, but it is now punching above its weight and it’s all about location. "Cremorne is such a great location and that has been the key to this trend we are seeing now. It has access to everything that neighbour Richmond offers, including trains and trams, shops, restaurants, cafes and fashion on Bridge Road, Swan and Chapel streets," Mr Evans said. "It borders Yarra Park and Melbourne’s premier sporting precinct including the MCG, as well as the Monash Freeway and Punt Road, and its only five minutes from the centre of Melbourne. "It’s very hard to find something like that at such an affordable price, especially given the rapid gentrification of many of the fringe suburbs over the last decade, and tenants realise that. "Cremorne was identified in the State Government’s Plan Melbourne document as one of a number of new urban renewal precincts to help accommodate a surging Melbourne population which is forecast to exceed Sydney’s population by 2050. According to the City of Yarra and ABS data Richmond’s population has grown from 22,789 in 1991 to 31,262 in 2014, a rise of 37 per cent, and is expected to rise another 38 per cent to 43,105 by 2036. Significantly the lion’s share of that growth is expected to occur in Cremorne and Burnley.